New Unique Multi-Strand Bracelets are here for Spring!! Spring is all about bright colors and stacking your favorite bracelets together to create a statement. 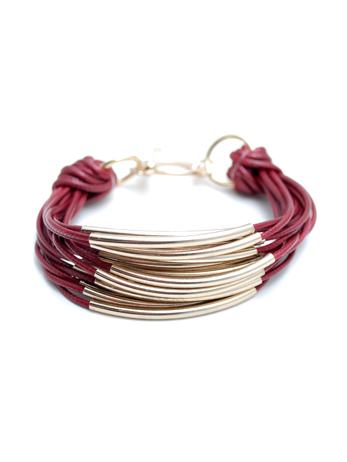 This unique multi strand bracelet is perfect alone, with a small chain bracelet or with your favorite watch. Shop guilt free! 25% of your purchase will go to a charity of your choice! Categories: Uncategorized | Tags: charity, crushcrush, CrushCrush Couture, fashion, jewelry, stacking, unique | Permalink. Stuart Brazell was at 3D International Society and interviewed Martin Scorsese about his film, HUGO. Stuart looks gorgeous in CrushCrush Couture chandelier earrings! 3D International Society has been founded to advance the art and technologies of 3D content. This society will host education opportunities for showcasing work and is open to individuals and organizations active in moving 3D media to an exciting new era of creative achievement. And don’t forget, 25% of your purchase goes to a charity of your choice! 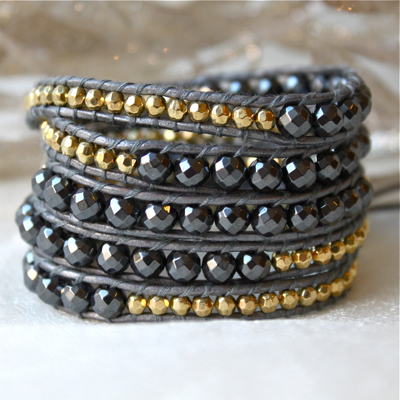 Beautiful Wrap Bracelets have arrived! This bracelet will wrap your wrist five times! Elegant or casual, this beauty can be worn every day. You can wear it alone or add it on to any bracelet collection you have around your wrist. It will look amazing and compliment all styles of accessories!